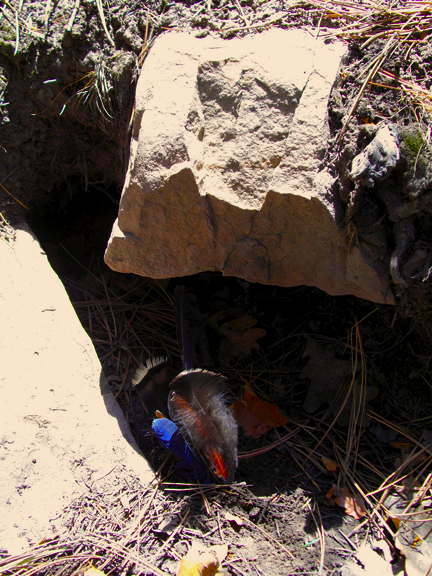 This entry was posted in Uncategorized and tagged American religion, Arizona, bioregion, Colorado, Mexico, New Mexico, polytheism, Tlaloc by Chas S. Clifton. Bookmark the permalink. Fascinating! 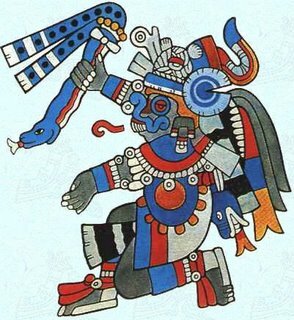 What was/is it about Tlaloc that called/calls to you? I admit that the depictions of Aztec and Mayan deities makes them somewhat inaccessible to me, as well. Close reading Craig Childs’ House of Rain made me realize that the cult of Tlaloc — under whatever name — was ancient and extended from southwestern Colorado down into Mesoamerica. Now, technically, I live in “southern” and not “southwestern” Colorado. In other words, I’m on the eastern side of the Continental Divide and a couple of hundred miles north from the nearest historic pueblo, which would be Pecos. Nevertheless, in a sort of eco-religious way, this feels like Tlaloc’s country too. We are in the same hydrological regime, after all. I have spent countless hours cleaning irrigation ditches with a shovel or tracking thunderstorms on the NOAA radar, hoping to persuade them to move over my property. So it’s time to give Tlaloc more attention. I have more posts planned on the subject.